There are over 30 types of work permits in Canada, each with its own specifics, deadlines and requirements. Our business immigration lawyers begin by identifying the strategy that best meets your needs, evaluating risk based on your specific situation and acting within the framework of a reasonable budget. ​Other immigration services are also available in relation to family reunification, citizenship, and permanent residence status. Patrice Brunet is a neutral arbitrator for the Sport Dispute Resolution Centre of Canada (SDRCC) and the Court Arbitration for Sport. He is frequently appointed either by the tribunal or by parties in cases related to Olympic and pan-American sports. Patrice has been a lawyer for over 25 years, mainly practising immigration and sports law. In the mid-2000s, he was president of the Quebec Immigration Lawyers’ Association (AQAADI). Nowadays, he is often called upon to comment various public situations regarding immigration and sports law. Patrice has been interviewed by in La Presse and on CBC, SRC, TVA, LCN, TQS, Global News, Fox News Network, and Première Chaîne. He has also been invited as a guest speaker for many institutions, including: Sherbrooke, McGill, Concordia, Ottawa and Marquette Universities, John Abbott College, Ithaca College, and the Barreau du Québec. In 1999, Patrice received the prestigious Arista-Sunlife award from the Junior Chamber of Commerce of Montreal, in the Young Professional of the Year category. 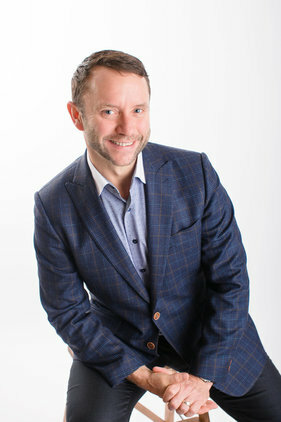 Patrice coauthored the book Le droit du sport au Québec et au Canada (Sport Law in Quebec and Canada), published by Éditions Yvon Blais in 2018. In 2002, during the Salt Lake City Olympic games, Patrice represented the Canadian Olympic Committee before the Court Arbitration for Sport to allow figure skaters David Pelletier and Jamie Salé to receive the gold medal, following a corruption scandal. Patrice Brunet is a neutral arbitrator for the Sport Dispute Resolution Centre of Canada (SDRCC) since its foundation in 2001 and the Court Arbitration for Sport since 1995. In 2007, he was appointed as the chair of the American doping arbitration tribunal that convicted cyclist Floyd Landis on doping charges. Fluently bilingual, Patrice offers his services in English and in French. Katrina has been practising business immigration law since 2001. She focuses mainly on companies and their executives by offering them immigration advice adapted to their specific business situation. She works in close collaboration with our clients’ internal legal advisors and human resources executives regarding corporate immigration applications. ​Before joining patrice.brunet.avocats. in 2017, Katrina practiced law for several years in North Africa and travelled the world to assist hundreds of investors looking to settle in Canada. Katrina graduated from the University of Ottawa in 1999 and became a member of the Barreau du Québec in 2001. She also served on the board of directors of the Quebec Immigration Lawyers’ Association. Fluently bilingual, Katrina offers her services both in English and in French. Catherine began working as a lawyer for patrice.brunet.avocats. in April 2017, after an internship with the firm. Her practice focuses mainly on business immigration, but as a sports enthusiast, she also works on sports law cases from time to time. Catherine is a member of several professional associations, including the Quebec Immigration Lawyers’ Association (AQAADI), Women In Sports Law (WISLaw), and the Sports Lawyers Association (SLA). Fluently bilingual, Catherine offers her services in English and in French. She also has a basic knowledge of Spanish.